Dish Network has great specials going on right now! When you sign up as a new customer you not only get a great everyday low rate, you get tons of awesome promotions. It has never been such a great time to switch to DISH! 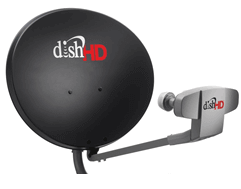 DISH now offers a 2 year price offer. Have the peace of mind knowing your bill is locked in for 2 full years! Customer Specials: Requires activation of new qualifying Dish Network service and 24 month commitment. 1Free installation of up to 6 rooms and activation valid upon credit risk assessment.2Free premium movies for 3 months. Customer must call in to cancel. Regular rate applies if not canceled. High Definition only channels not available with select packages. 3Free High Definition requires Top 120 package or above. 4Free Hopper available for new customers only. Top 120 package and above. Monthly DVR and receiver fees apply.